Workers moving the rail line along. It was indeed under construction. Things weren’t always this dire for California’s high speed rail project. As recently as 2008, voters eagerly approved a $10 billion bond authorization for a rail system to link San Francisco and San Diego. It was expected to cost $33 billion and be completed by 2020. The proposal was partially baked from the start, which is not necessarily a flaw. But the exact route and methods were hardly nailed down by the agency, which apparently did not call on adequate experience in the area. Costs continued to balloon and the timeline was pushed back. What Newsom killed off was a project that might cost as much as $98 billion, no one is sure, and certainly not be finished before 2029. If all of this sounds ridiculous, it’s actually worse. This project called for a 300 km/hr (220 mile/hr) train using highly conventional track and technology, far from anything remotely advanced or even fast. It would take well over 2.5 hours to travel from LA to SF, a flight time of 90 minutes currently. It was not exactly fast. Isn’t there a better way to do this? The short answer is yes, and China is showing the world how to build a high speed network properly . While it is difficult to be sure exactly what lessons from their experience apply and which do not, the comparison is very stark. In review, China has built up 25,000 km (15,000 miles) of high speed rail in 12 years, or about two-thirds of the planet’s fast track. These tracks run trains as fast as 400 km/hr (250 miles/hr) and are currently carrying over 2 billion trips per year. The cost of this total investment, in 2019 money, is about $600 billion. If you have to choose between infrastructure and military to keep people busy, only one has a big payback. 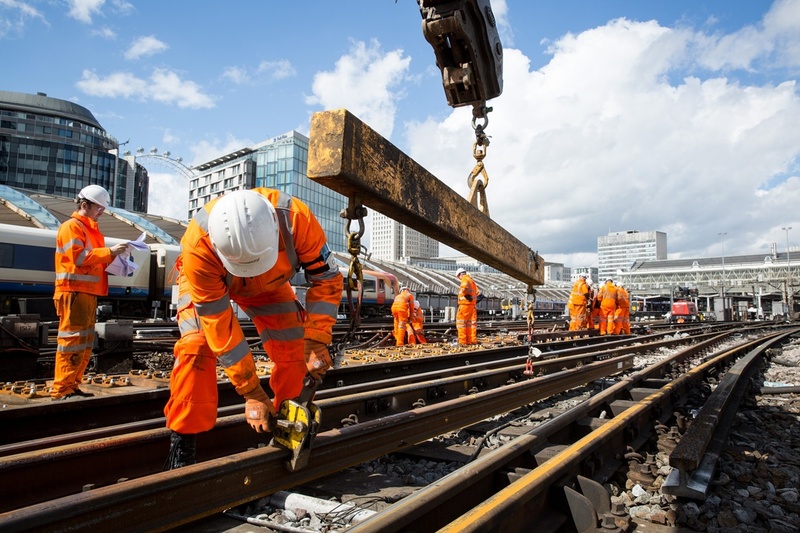 There are many people who see these rail projects as a make-work program by the government simply to keep people employed and to keep growth on a fast pace. There is little doubt that articles which tout this benefit more than anything else are common, meaning that this is what officials are talking about. That may seem like a bad reason to do something, but it’s better than the People’s Liberation Army as a way to keep the population gainfully employed. Linking up their nation is seen as the most critical way to spread the benefits of growth out to a nation that has developed one of the worst income inequality problems in the world. Rapid growth has come to major cities, but not the countryside. As Deng Xiaoping famously said forty years ago, “Someone has to get rich first,” Today’s issue is who gets to be comfortable after that. With the incredible number of trips by train it can easily be called a success, and on many lines it does seem to be a net income generator. The cost is also more than reasonable. China spends $20-24 million per km of track. This is about half of the estimated $36-44 million per km in Europe, but much less than the $93-118 per km that the California project was running. China builds rail for less than one quarter of the cost in California. 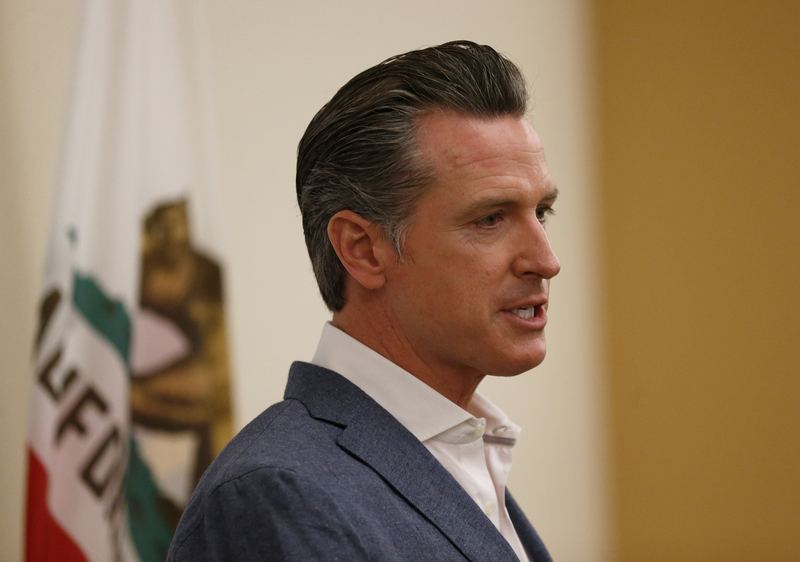 Newsom made the right call. Some of this is due to lower labor costs, without a doubt. But China also has factories which pump out the pieces of each train line, starting from bridge supports through track bed and rails. Concrete is not poured on-site, but rather in ideal conditions for maximum strength and durability. It is then shipped to the site to be assembled something like a big Lego set, with rail often being laid on a bridge on one side often before the other side is completed. Some of these techniques were learned from the two key demonstration projects, completed in 2011 – just eight years ago. 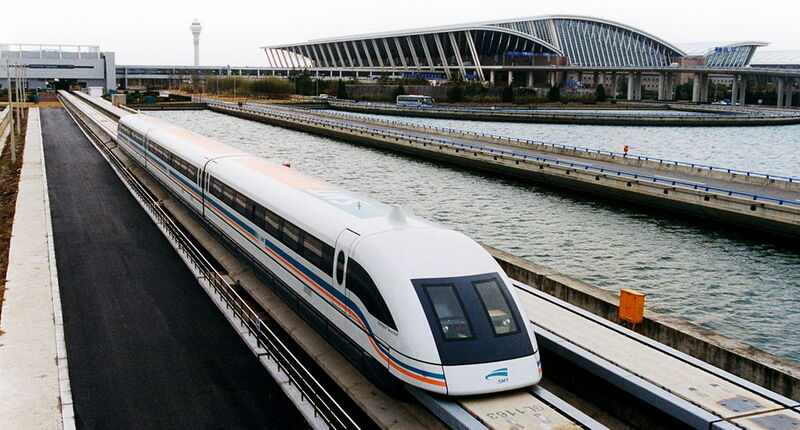 These two small projects were the first rail, and they consisted of a maglev train in Shanghai to the airport and a small convention line from Beijing to Tianjin. They were build by China Rail in a joint venture with Deutsche Bahn, the German rail company, and Siemens. The main point being that China didn’t re-invent the wheel, or the track here. They looked at what was available, contracted for foreign help, made a decision to go the safe (not maglev) route, and went forward using industrial economies of scale. They took the knowledge that existed, applied it, and improved upon it. Would this work in California, or perhaps elsewhere in the US? The methods employed to arrive at a plan certainly would. It may seem politically difficult to ask for Chinese help to build our train lines, but then again such a joint project could easily smooth over a lot of current issues. More to the point, could we build rail lines for 20-25% of what we do now? Probably not, but it is reasonable that we can build faster lines than what has been proposed for half as much money. That’s taking out the lower costs of labor and everything else, but applying the same basic methods as in China. Back to the California plan, however. At over $100 million per km it was a terrible idea. There is no excuse for it to take as long to install or the low speeds that were planned. Everything about this project was horribly wrong. High speed rail may not be as practical here as it is in China, given lower population density and great distances. But if we are to go forward with a project, what we had in the works was certainly not it. California high speed rail is dead. Let’s hope something better can now receive the attention and money it was getting. This entry was posted in Money, Nooze, Politics and tagged California, cost, Economics, economy, high speed rail. Bookmark the permalink. On a much smaller scale there is the “Southwest” commuter light rail line in Minnesota. I’ve not followed it closely but it appears that the planning and “public engagement” is very poor. These seem like management deficiencies, as does the collapsed project in California. 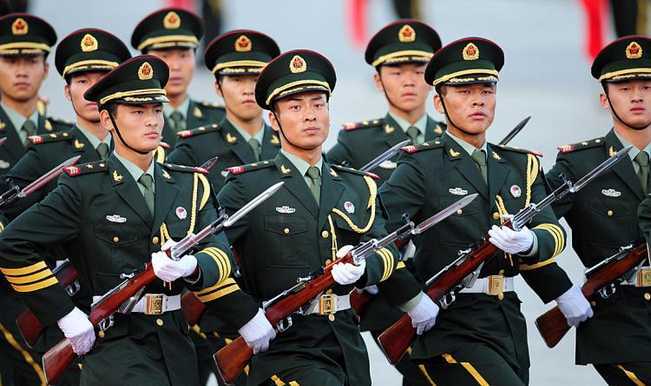 The Chinese, of course, are operating a much more authoritarian political system and don’t have to pay so much attention to public sentiment, at least in the detailing of projects. But I think there is a clear pattern of managerial incompetence in the US and we aren’t facing up to it. I agree all around. It’s never a good idea to fully extrapolate from what an authoritarian government can do in infrastructure. There are a lot of aspects of how they do things what we may not be able to tolerate – and you and I have seen some of that behavior in action as it is. There is little doubt in my mind that the ability to conceive, manage, and execute projects like this is extremely lacking in the US as a whole. We’re just not competent. And there’s no excuse for that. We can learn something from China, without a doubt. They learned from Germany. We can all learn from each other and do a lot of things better. That’s my main point. Is a high-speed rail network across the US a good idea? I think it could be, especially as a way of transforming shipment and connecting factories with consumers directly – pure JIT. But we’re not talking about that very much. Certainly, the costs we have are at least double, maybe more, given our known failures. Let’s change that first and work out a vision. If it makes sense, let’s do it. As it stands now we are clearly unable to deliver what we need, however. If the speed is high enough it will replace planes, which are expensive. When we look at costs we should ask what a highway or an airport costs first. It may be less for rail when we look at it that way. If China got all that for $600 billion it was probably way worth it. If we had to replace all the airports in the US, and we more or less will in the next 30 years, it would easily cost $1 trillion. So I think it’s safe to ask ourselves what the best investment in infrastructure would be given what we know has to take place in terms of rebuilding what we have over time. There is lots to be said about the decline of passenger rail in the US. Worth noting is that rail, in general, is easily electrified (=decarbonized) compared to other transportation modes and this will become increasingly important. It’s a shame that rail has seen such a decline in the US. I’ve taken Amtrak up and down the east coast a few times, and while it wasn’t a bad ride, it’s nothing in terms of speed and service compared to trains I’ve taken in Europe. Even the citywide train system where I live is terrible, with absolutely no reach into the outer metro areas and poor coverage of the inner metro areas. Seems like there’s no money or no political will to improve rail in the US, aside from the problems you bring up in California. It is a huge issue all over. We decided to go with air travel, it seems, and invested very heavily in that. Given our size, that makes sense, but we’re reaching the density where trains make a lot more sense. As for intra-urban – yeah, it’s just not good at all. We have long devalued transportation. I think it shows in terms of access to the driving engines of our economy and how many people are simply left out. That’ is, to me, what transportation is all about. It’s worth noting that freight rail is thriving in the US, though it is mostly used only for high volume materials like coal, grain, and sand. Passenger rail expansion seems to be an ideological football between Dems and Republicans, which makes stable funding very difficult. I’ve looked at some old timetables and the Amtrak service between Chicago and Minneapolis/St. Paul is noticeably slower than the Hiawatha trains (steam hauled!) in the 1930s. Amtrak struggles to run a couple of dozen trains per day on the Northeast Corridor where the Pennsy used to run hundreds. It appears that the DC Metro system is staggering, as are at least some of the New York subways. The reasons are complex but not, I think, insoluble. Probably one need is to hire experienced managers from other places that are doing better. Experience is needed, no doubt. We treat all of this as an orphan. But to me, fast freight may well be the future. Retail is moving online, and manufacturing is moving to JIT more all the time. Both of these are limited by shipping. Are there needs for this new economy that we are not providing? I do think that there are, and that fast rail may have some important answers.